Lunch: Monday – Sunday 11:00 a.m. - 4:00 p.m.
Dinner: Monday – Sunday 4:00 p.m. – 10 p.m.
Free Parking while dining at The Columbia in the parking lot adjacent to the restaurant. Founded in 1565, St. Augustine is the nation's oldest city, and home to the Columbia Restaurant of St. Augustine, located in the heart of the historic district on St. George Street, surrounded by shops and attractions. The Columbia is located within walking distance of several historic landmarks including Castillo de San Marcos National Monument (the oldest masonry fort in the United States), the Spanish Quarter, Flagler College, and Casa Monica. There are many museums to see, including the Museum of Weapons and Early American History and the Old Florida Museum. Open 365-days a year, including all holidays for lunch and dinner daily. Although online reservations may not be available, we are still taking reservations through the restaurant. From groups of 10-200 we offer an outdoor courtyard and indoor private dining areas to host your birthday or anniversary party, office party, rehearsal dinner or wedding reception. Choose from our banquet menu or let us customize your menu for that special occasion. 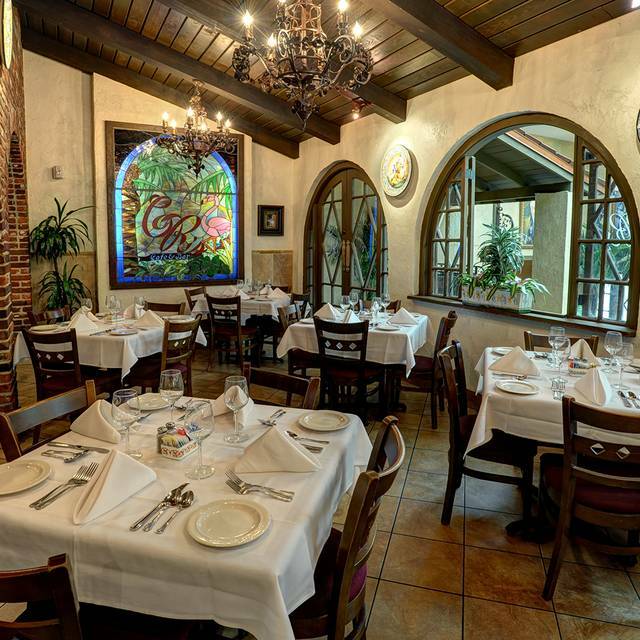 Our Mediterranean-style dining rooms are surrounded by outdoor courtyards, 3 fountains, and hundreds of hand-painted Spanish tiles and family heirlooms, specially selected to create an old-world charm and ambiance that lend an atmosphere of warmth and elegance to any gathering. 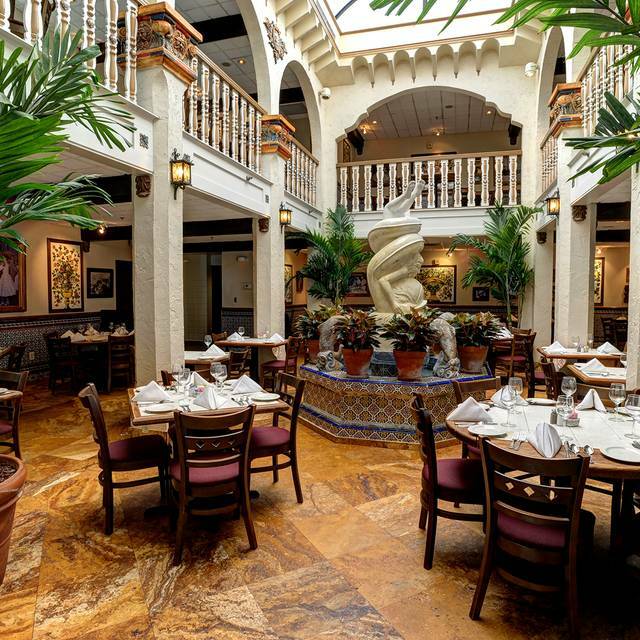 Family-owned and operated for more than 114 years, Columbia has earned acclaim for its old-world charm and award-winning Spanish/Cuban cuisine. Join us for century-old family recipes like Paella "a la Valenciana," Roast Pork "a la Cubana," and fresh seafood specialties. Don’t miss Columbia’s Original “1905” Salad®, prepared tableside with our delicious, freshly-made dressing, a 100-year-old family recipe of fresh garlic, oregano, wine vinegar and Spanish extra virgin olive oil. Be sure to sample a fine Spanish wine like Montecillo or Campillo. 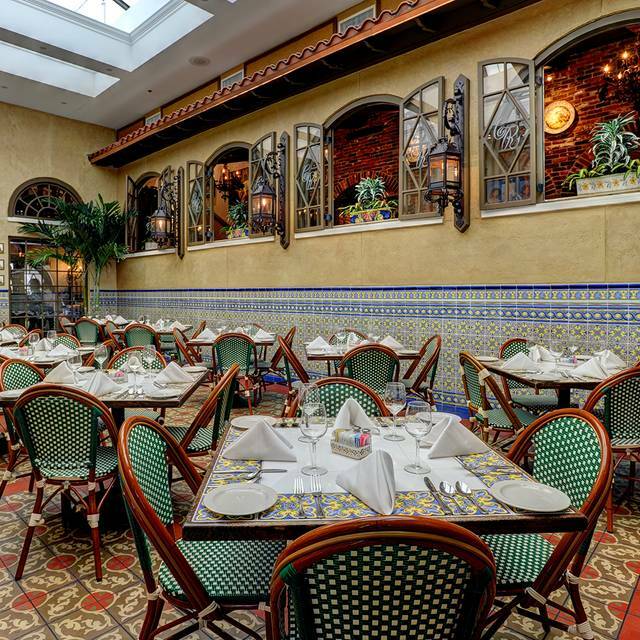 Relax in our courtyard or Mediterranean-style dining rooms, filled with hundreds of hand-painted tiles and Spanish-style fountains. We are a sister to the Columbia in Tampa's Ybor City, founded in 1905. Children's menu available. Open 365-days a year, including all holidays. Serving from our regular dinner menu all day, along with Mother's Day features. The atmosphere was so cool. It was like stepping into another world. The white sangria was dangerously good. 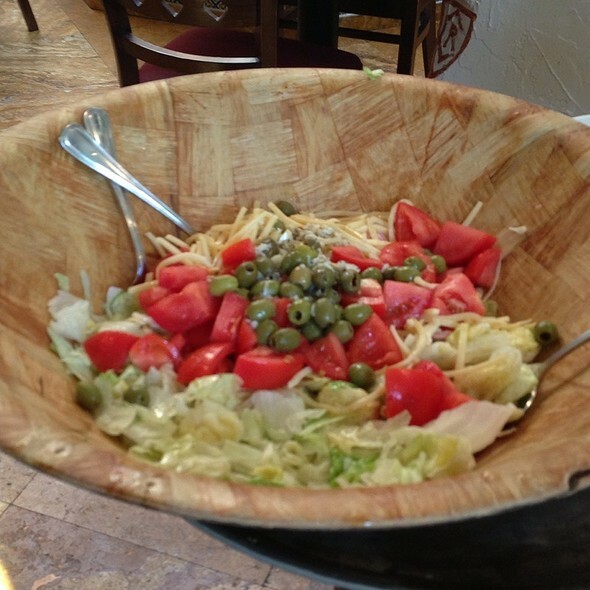 The food was so amazing, it reminded me of my Cuban grandfather’s cooking. We brought our 1 year old son, and our server was so accommodating and sweet to him. What a wonderful way to celebrate Easter and start off our vacation. We would definitely visit again! We were so excited to try this restaurant because we saw great reviews, but sadly we didn’t enjoy it. Our waitress was awful. Took our order, never brought out our drinks, we just had them removed from the bill and the food was just ok. Maybe the service brought down everything else, but didn’t live up to the hype. Had reservations and was taken right in for Easter dinner. Took 10 mins to get water and then longer for bread. Drinks continually ran out. It was 1.5 hours from the time we sat until dinner was served. I have been here on many occasions and never had a problem until now. Food was excellent. Service was great. It made for a great Easter day. Would definitely go back again. Make reservations because there is generally a wait. As usual, the service was fast, friendly, and timely. We got two appetizers, Empanadas which were very good but slightly over cooked and Queso something, which was also very good. Our stuffed Salmon and Ropa vieja , likewise were very good. We love this restaurant and go as often as possible. Always consistently excellent! Wonderful food as well as a beautiful restaurant. Never disappointed when I eat at a Columbia Restaurant. Easy to make reservation on Open Table. We were seated right away. Table and room were very nice. Waiter did a great job. Warm bread to start the meal was a treat . Sweet tea is not available. Our entrees were excellent . Always a good choice to dine in this restaurant, I love the food , ambiance and drinks, unfortunately we didn't have a good experience with our server who brought the wrong sangria first and then crabmeat croquettes instead of lobster as ordered-no apologies-, other than that Columbia is an excellent choice. We are repeat diners at Columbia. The old saying is that you get what you pay for. That is always true here. I'm a huge fan of their 1905 salad and any of their paella dishes. The staff is always friendly and ready to answer any questions. They are well trained about the menu and are more than happy to help. We will definitely go back. We have also dined at the Columbia Restaurant in Celebration, FL and the original one in Ybor City, FL. True to the company's quality standards, all 3 have been wonderful. We were celebrating my dad’s birthday. Staff did a great job with service and helping us recognize my dad’s special day. 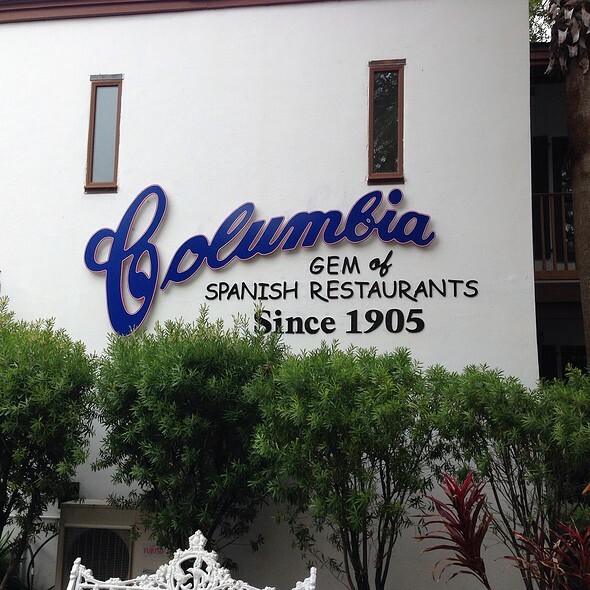 We had walked past the Columbia Restaurant many times during our recent stay in St. Augustine and thought it was a "cute" little place that we would eventually visit. But, when we finally actually dined there for lunch one day, we were blown away by the size and beauty that greeted us inside! What a gorgeous place...and it is huge! The decor and ambiance is off the charts! I felt transported to another time and place! Every detail was spot on! The menu and service was equally impressive as well. We fully intend to return to the Columbia Restaurant for dinner the next time we are in St. Augustine! Definitely a "must do"! We never go to St. Augustine without going to The Columbia at least once. Love, love, love all of it. Recommend always having a reservation. Sat at table for 1/2 hr before being waited on. Short staffed. 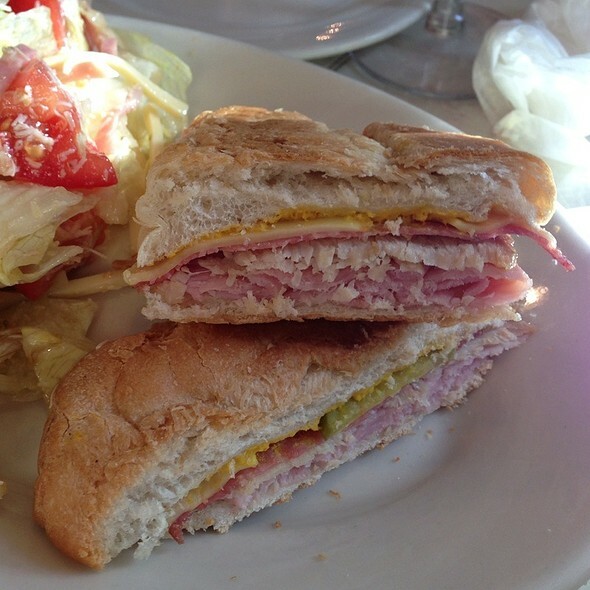 There are many other local restaurants in St. Augustine that I would select over Columbia Restaurant. We are from Tampa, so we have been to Columbia before, so whoever reads this should take that into consideration. The restaurant itself was very pretty - outside and in, but it was fairly noisy and the food was just ok. Some food was not very hot. Fish was only warm. The ambience was not of the kind we have experienced on previous occasions. Columbia was recommended by a friend and it did not disappoint. Food was fantastic. Tracy, our server was fabulous! 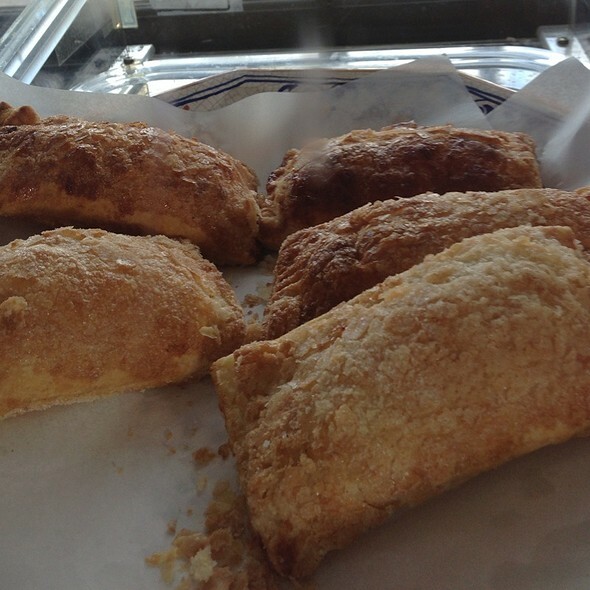 We love eating at The Columbia is Ybor City, so when we found out there was one in St. Augustine, we had to go. The food was just as amazing and delicious as ever. The service was great (except we had reservations for 7:30, we arrived at 7:15, we were not seated until 7:45). The meal was worth every penny! Our children also ate everything on their plates. And, of course, we topped off our meal (we both had seafood) with a delicious chocolate dessert and Cafe con Leche. Yum! Will definitely be back. Lovely setting, but... Waited well over an hour between soup/salad and entrée. Server disappeared for a very long time. Could hear shouting from the kitchen. Sea Bass was not Chilean. However "1905" Salad was very good. 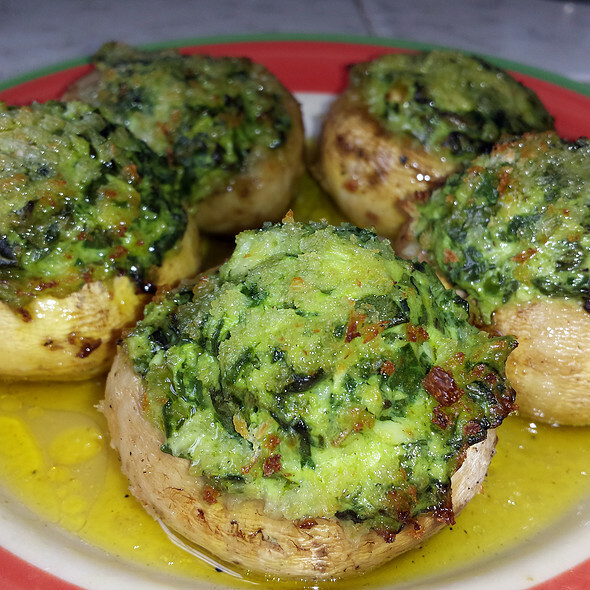 Next time I would order one of the favorite specialties, but there won't be a next time. The food was awesome! We will definitely return with a group! My Brother and Sister-in-law were visiting and the remembered last year how much they loved it so we went again. We just live everything about the experience there. We traveled to St. Augustine for the weekend and couldn’t wait to eat at the Columbia for my Mom’s 70th Birthday. We arrived early for our reservation and I told the hostess that we were celebrating a very special day - my Mom’s 70th. We were then seated in the back of the restaurant beside a wedding party and as we walked up, a woman was sitting beside our table changing a baby’s diaper. RIGHT THERR AT THE TABLE. There were crayons all over the floor and children running around. Meanwhile, I had noticed other parts of the restaurant that looked calmer and nicer, one of which had nice white tablecloths and were upstairs. Even though we made a reservation and we were a small party of 3, we were seated in the back with families and children. I chose not to request another table as I didn’t want to upset my mother or make her feel uncomfortable. The saving grace was our server, Sean, who was great. The sangria was awesome, the 1905 salad was amazing and the paella was delicious. Although we had a nice time and enjoyed our food, the $200 price tag seemed a little steep for the lack of ambiance and we left feeling a little disappointed. Probably would eat here for lunch and save the nice dinners for another place. Best Columbia I’ve been to. Had a great lunch. June, our server, was exceptional! Our server was unhelpful and made several trips to and from her tables causing major delays for everyone. Instead of hitting her 3 tables all at once, she'd visit and serve one at a time causing the others to wait and wait. After asking for a beer with my meal (a $50 steak! Not worth it by the way.) Our server did not know the beer menu. She mentioned a couple (I wanted a Cuban beer or something like that). I asked for a sample to determine if it'd go with a steak (because she clearly had no clue) after a while she brought back a sample. I tasted it and determined probably wouldn't be the best option. I wanted a brown or a red -- she offered Yeungling and one other. She never checked on me whether that beer would work or not and importantly never offered a drink menu. This was a surprise birthday dinner for my wife, just the two of us, and I feel like our service impacted our experience. Our server needs some basic up training so she can look after the needs of her visitors and not work so hard. You don't need to make 3 trips to service 3 tables! I hope this review reaches the restaurant. Food was delicious, drinks were weak . it was HOT and the staff are OVERWORKED and seemed so TIRED - it was like Disney World. we had to try to 'bring them up' and be super patient! line in the bathroom was out the door; bathroom stall broken, and garbage cans in bathroom overflowing. When we first tried this restaurant on 4/8/19, the food was phenomenal, but we the service was subpar. It’s difficult to dine out with a little one, and we felt as though we were a burden to our waiter. We decided to give it another shot on 4/12/19 and had an exceptional experience. Carlos went out of his was to accommodate us and he anticipated all of our needs. He offered our baby girl fresh fruit while we awaited her food and she loved it. Our drinks never went empty, and we could tell we were treated with the same respect as those around us despite having a young child in our midst. The food was exceptional on both occasions, but Carlos made all the difference in our overall dining experience. We love the atmosphere of this restaurant, and hope that any family who comes here is treated with the same respect Carlos provided us with. Fabulous experience ! Fabulous service ! Delicious food ! We had a wonderful meal and had fantastic service! Just as good as the other Columbia venues we have dined at. The waitress was very friendly. 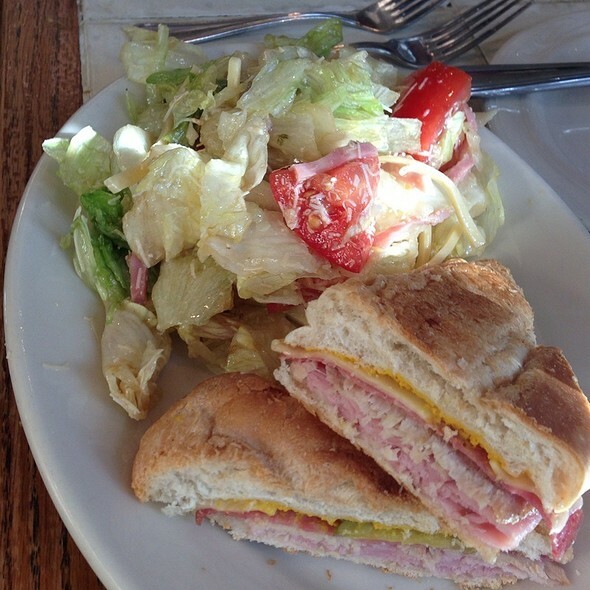 The Cuban sandwiches were not hot, and the waitress was quick to make it right. The other food was hot and enjoyable. Visiting Saint Augustine for the first time. Long day sight-seeing, walking, looking and finding our way around. The Colombia restaurant was a great place to end the long day with a wonderful meal. We had the evenings special, a grouper with avocado and mango and it was delicious. Friendly and attentive service too. Great food as usual. We were a party of 10 but the restaurant accommodated us easily and Alex was such a wonderful server.